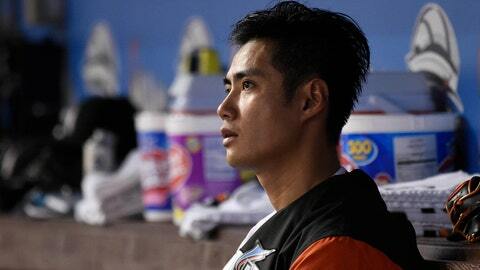 Wei-Yin Chen is 7-6 in two years with the Marlins, with only five starts last season. He was sidelined from May 1 to Sept. 4, and allowed one run in six innings in four late-season relief stints. JUPITER, Fla. (AP) — The Miami Marlins‘ offseason fire sale didn’t include their most expensive pitcher, probably because there’s little market for an injury-plagued $18 million left-hander. “I think you always feel like you’re in a sense letting people down,” Mattingly said. “He was a big signing for us. You go out on a limb. You don’t want to have bad contracts here, because they really hamstring you. I’m sure he feels bad.